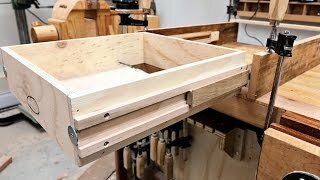 Wooden Full Extension Drawer Slides Experiment - Wood Working Co. I have a few more refinements to do with it, but I’m very impressed with how well these work even in this fairly rough state. A coat or two of water based poly would really make them slick, I think. When I mention the metal slides price I got at wholesale, that was for a pair of slides 22″ long. I bought several for shop projects and my new kitchen cabinets. Did you know I have other YouTube channels? I want to try this. Love your experiment builds. I have heard that the harder the wood, the better it will slide and the easier it will slide, ie, using a small piece of ebony or other really hard wood as the part of the slide subjected to friction. Is this accurate? Or is that with just a typical wood on wood slide? Really liked the video, great idea! Had a quick look for the double drawer slide plans – couldn’t find them. Help! Thanks. Cost is part of why I’ve never user full ext. slides, plus I’ve really never had a great need for them. But with this design I can make them by the dozens. When I mention the metal slides price I got at wholesale, that was for a pair of slides 22" long. I bought several for shop projects and my new kitchen cabinets. I really liked this video, but thought the amount of cuts was a bit much. Could the drawer sliders possibly be done using cuts that reflect the French Cleat system? Check Outwater Plastics for drawer slides that won’t break the bank. http://www.outwater.com/home/index.cfm I buy slides and piano hinges from them, also bulk wood screws. They sell all knids of things. Well worth a look, friends. Firstly, thank you very much for your ideas. I want to practice this for my cabinet. Can you tell me some reviews about its durability? Would it be easy to be worn out? And how much weight can it contain? Thank you for this vid. Almost positive you are referring to my comment. The cost is indeed what was my concern. I have not found commercial drawer slides for cheaper than fifteen bucks, but usually closer to 20. The application I was looking at was for my girlfriend’s potting shed. Not a super heavy use drawer. I have access to tons of small/scrap wood and I am not concerned about having to remake and replace pieces later on. Again, thanks for the video, exactly what I was looking for. Perhaps most impressive Heiszvention we’ve seen thus far. And that’s saying something. Brilliant! Great video. Sir, your work is an inspiration for mere mortals like me. Keep on helping the rest of us! Im prepping to start selling decorative furniture and my biggest question was should i do my own slides or buy? Any thoughts? John, use a bar of soap. works great and smells good. 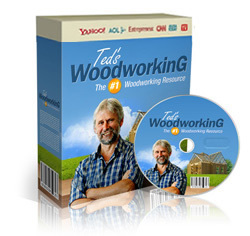 I watch your videos with some regularity, always with great interest; your workshop is something to behold with all the homemade equipment and its neatness. The part that impresses me most is you modesty: I hear you saying often that this or that appliance – you say it here of the tablesaw fence…"works really well" . I state unequivocally that, all of these do work so well because you have made them, were they made by less skillful hands they would not; thank you very much for all your interesting, inspiring work. Cheers. You have the neatest scrap ‘closet’ I have ever seen, John. Want to visit sunny warm San Diego this winter? Guarantee we’ll have plenty of projects! Good thing for you I’m watching on my iPad this morning while drinking my coffee, John… otherwise you’d owe me a keyboard! GOOD STUFF! I saw this when it first came out but I’m revisiting the idea of trying to build a set of these just for practice and because I’m having trouble finding slides that are a very specific size for a small tool cabinet. John, have you ever tried a product called Waxlit? It also works well to release glue buildup and cleans up with alcohol. Geez, how come it’s taken me so long to subscribe? Keep coming back to your channel. Well, easy enough to remedy that. Done! I always complain about how the U.S (and most other wester countries) have all these amazing tools that are not available in my country, unless I imported them and paid 4 times their price in taxes. But then, like in this video, I am thankful at how cheap certain things are in comparison. A full extension 22" drawer slide of the same quality as any western brand, in my country would cost $3. The cheap knockoffs of dubious quality would cost about $1.50. Need to get Wandel over there to test it. did you finish the plans yet for these? Nice work. Your work with the algorithm is working. This video just showed up in my general suggested videos. First time any of your "older" videos have been suggest in quite some time. This is something really useful- Good full-extension slides are $$$$ – intead, turn scrap into drawer slides for shop cabinets and etc. Great job! Thanks for the idea man! Gotta give this a try myself. can i get the sketchup plan? Regret buying all those metal types? Would there be any concern of the expansion in the wood, or are the tolerances not tight enough to worry about? Why the 5 pieces on each side? The tops and bottoms that you seperated out could be one piece making it MUCH easier to install and only have 3 pieces on each side. A router could be used to cut the recesses/slots. Would be sturdier, too, right? I think I might take this idea and instead of wood for the middle piece, I’ll use HDPE. This is a great concept though! In Brazil we have very hard woods that will work perfectly and last for centuries.